Want Any Song From Your CD To Your Mobile Phone? Today mobile phones are not only the devices to speak but also to listen to music. The first mobile phone that had a built-in audio player was introduced not long ago but today almost every phone has it. Audio player combined with the phone is a good thing that gives you the chance to listen to music wherever and whenever you have your mobile with you. The bad thing is that most mobile phones are limited to few audio formats. Often they support MP3 and AAC, sometimes WMA. Why these? Because they compress audio well still retaining comparatively good quality. As you see most of them support just two audio formats: MP3 and AAC. But there are tracks in dozens of audio formats today in the web. What shall I do with my FLAC collection? Or how to get the music from my CD to my mobile phone? The answer is - rip your CD, convert to mp3 and upload it to your phone. 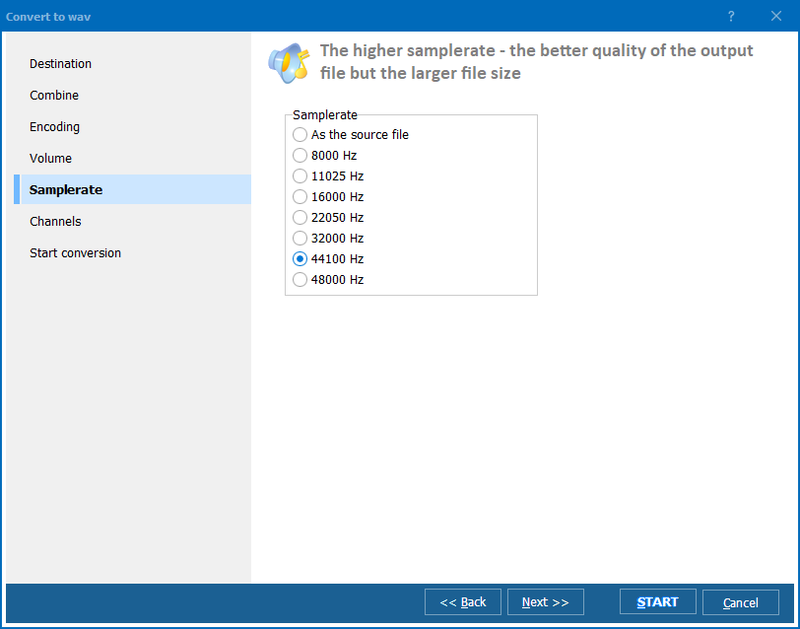 The easiest way to do that is to use Total Audio Converter. No matter what format your track is Total Audio Converter will convert it to MP3 or AAC with ease. Most audio converters can not do this as one can't just convert CDA to MP3. 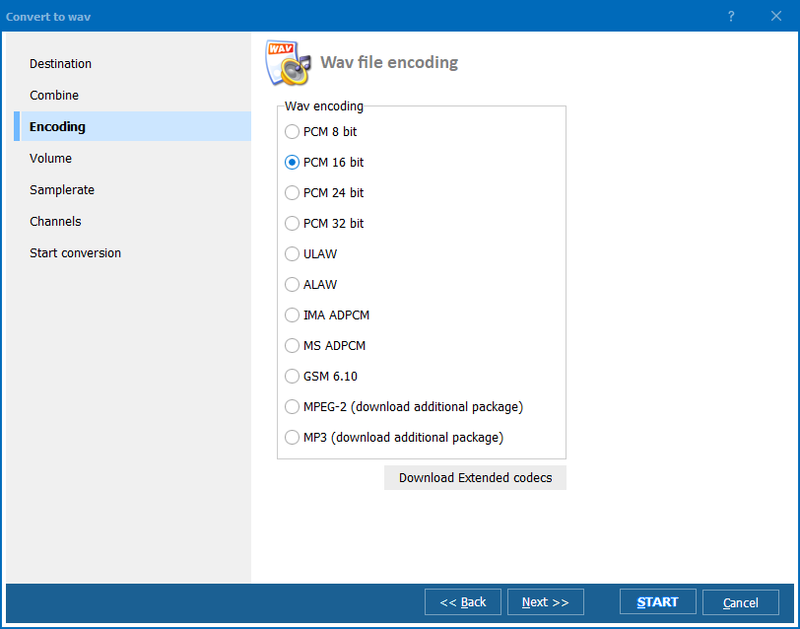 Total Audio Converter has built-in CD ripper which means that you insert you CD, launch TAC and get all the tracks in MP3 or AAC format in few minutes. No special knowledge required, it's a well-thought tool with simple interface. There is the wizard to guide you through the process and tip you what bitrate or frequency to choose. 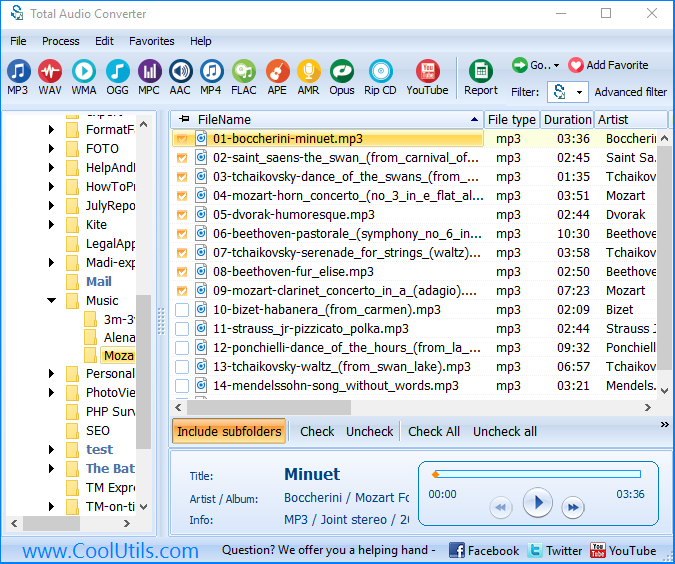 Without Total Audio Converter you have to search for your favourite songs in MP3 or AAC formats. With TAC you get any song in the format your mobile phone supports. That's very time-saving! Download your copy of Total Audio Converter now and enjoy the music you like on your mobile phone!